When referring to any kind of addiction, it is important to recognize that its cause is not simply a search for pleasure and that addiction has nothing to do with one’s morality or strength of character. Experts debate whether addiction is a “disease” or a true mental illness, whether drug dependence and addiction mean the same thing, and many other aspects of addiction. Such debates are not likely to be resolved soon. But the lack of resolution does not. The cardinal symptom of addiction is the inability to limit use of a substance or activity beyond need leading to clinically significant impairment. There are many symptoms created by the specific substance/activity that is used. All addictions have the capacity to induce feelings of shame and guilt, a sense of hopelessness, and feelings of failure. In addition, anxiety and depression are common conditions among those with substance and behavioral addictions. There are no specific causes of any addiction aside from use of a substance or activity, and there is no way to predict who will become dependent on use. Any substance or activity that has the capacity to be pleasurable can provide the conditions for addiction. All addictions impact various neural circuits of the brain, including those related to reward, motivation, and memory. Addiction is a treatable condition. The first phase of treatment from is withdrawal from the problem substance/activity. There are both physical and psychological effects that occur when substance-taking stops, including such physical signs as nausea and vomiting, chills and sweats, muscle cramps and aches, sleeplessness, shifts in heart rate, even fever. Emotional effects include depression, anxiety, irritability, and mood swings. Withdrawal symptoms typically last three to five days. While they are rarely life-threatening, medical supervision is usually provided in residential treatment programs, and medications may be given to ameliorate the acute discomfort of withdrawal. Behavioral therapy and counseling are important elements of treatment. 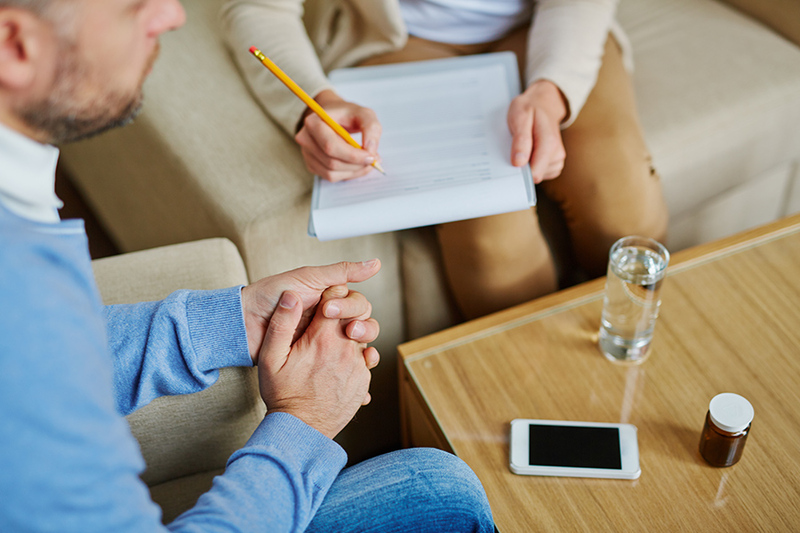 Cognitive behavioral therapy is often used to help patients identify, avoid, and cope with situations in which they are most likely to abuse drugs or activities. The technique of motivational interviewing is often employed to remind people of their values, as a way of avoiding use. Family therapy may be provided to help the patient maintain a supportive environment and improve family functioning. Rehabilitation programs are often needed to help patients regain necessary job and other skills. Relapse is now seen as the rule rather than the exception in addiction recovery. And it is no longer viewed as a catastrophe but as an opportunity for learning more and better strategies for overcoming urges and for identifying the moods and situations that are likely to be difficult. What is inappropriate is black-and-white thinking about success that turns a slip-up into a disaster and sees it as a sure sign of defeat. The fact is that it takes time to change all the mental apparatus that supports any particular habit-the memories, the situations that trigger craving, and more. Addiction changes brains, and it takes time to change brains back.